Each day, Great Day Houston invites local guests to come in and participate in a live, local television production. Each day is filled with surprise guests and we guarantee a fun time. 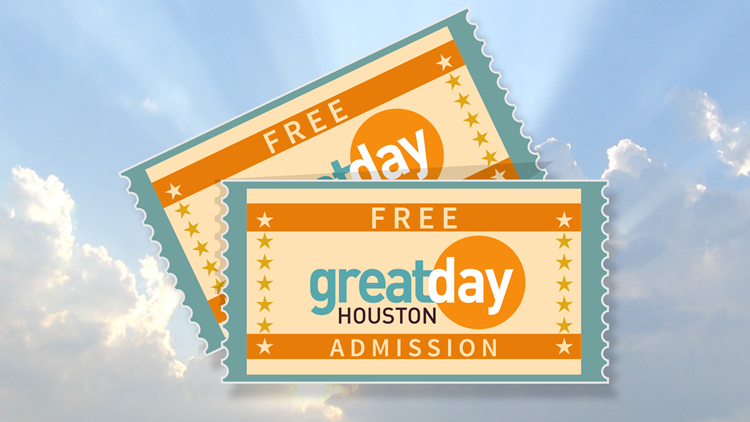 HOUSTON - How would you like to be a part of the Great Day Houston live studio audience? Each day, Great Day Houston invites local guests to come in and participate in a live, local television production. Each day is filled with surprise guests and we guarantee a fun time. Here's how you can get FREE tickets to the show. Have fun! We want you to enjoy your Great Day Houston experience so you'll tell all your friends and come back often! Thanks for watching Great Day Houston! Great Day Houston Offers FREE PSA Commercials for Non-Profit Organizations & Events!